Horseback riding is recognized as one of the most beneficial forms of therapy for individuals with physical disabilities. 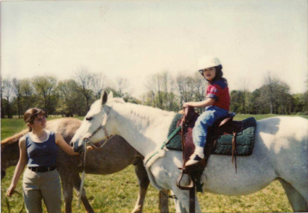 Developed in Germany in the late 1960's, therapeutic riding has been successfully practiced in Europe, Canada and the United States. For the physically impaired, riding a horse can play a significant role in rehabilitation. A horse's gait is similar to the locomotion of the human pelvic area. Riding helps strengthen spine and pelvic muscles, as well as, provide all the criteria of low-level aerobics. The discipline needed to master riding improves mental concentration and emotional control. Frequently a strong bond develops between the horse and rider. Additionally, the relationships formed between students, instructors and volunteer assistants can provide lifelong friendships and rich rewards for everyone involved in this endeavor. 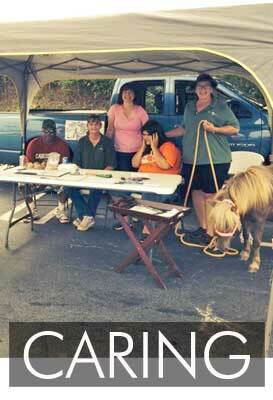 In 2010 Mane Solutions qualified for 501c3 status and began raising money to provide equine related services. Strengthens the spine, the core, as well as leg and pelvic muscles. 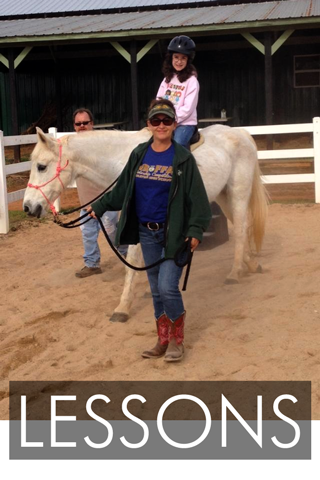 Riding lessons are enjoyed by participants and volunteers. Like therapeutic riding, the practice of natural horsemanship has existed for many years and is currently gaining popularity all over the world. By using natural, equine based non-verbal communication and applied behavioral psychology, natural horsemanship seeks to create a willing partnership between the horse and human (both on the ground and when mounted) that promotes safety, relaxation, sensitivity, teamwork and mutual satisfaction. Our riders are like our horses. They don’t care how much you know until they know how much you care!